Guess I’m jumping down this rabbit hole, damn you Bartosz. It’s been a while since I’ve studied new math, should be interesting to see how much my brain’s math muscles have atrophied. All joking aside, if you’re interested in Bartosz’ series on category theory and want to supplement it with a more mathematical approach the book that Bartosz mentions, Saunders’ Categories for the Working Mathematician, can be daunting since he assumes a wide mathematical background. 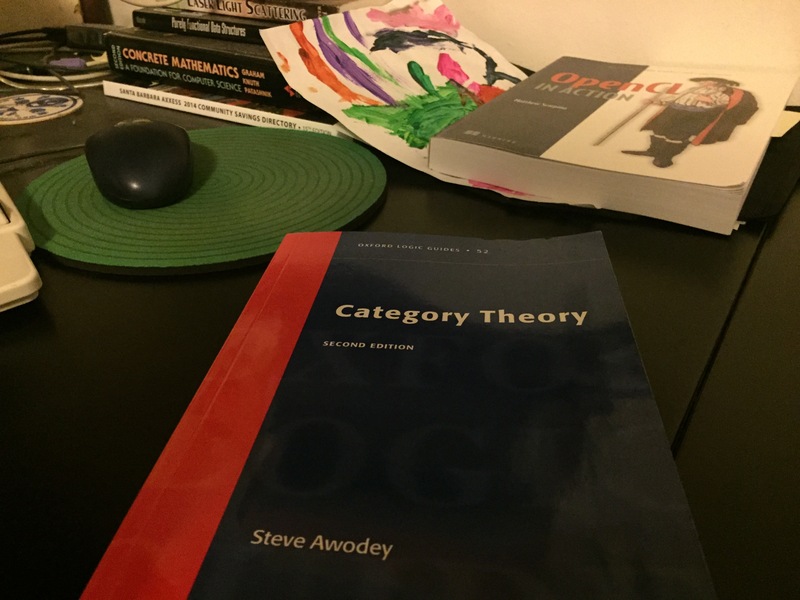 Awodey takes a more self-contained approach that’s more amenable to those with computer science or physics backgrounds.